Cașcaval means cheese, brânză perhaps cottage cheese. Brânză and cașcaval are two different things(also in hungarian). Compare Megleno-Romanian brǫndză. Often considered to be a substratum word. Other theories suggest, on the basis of what is used to make cheese, a derivation from Latin brandeum (originally meaning a linen covering, later a thin cloth for relic storage) through an intermediate root *brandea. For the development of the meaning, compare Spanish manteca, Portuguese manteiga, probably from Latin mantica (“sack”), Italian formaggio and French fromage from Latin formaticum from forma. Alternatively it was possibly borrowed from Albanian brëndës (“intestines”). Originally referred to cheeses prepared in a sheep's stomach by reacting with the rennet inside. Likewise, Romanian rânză (“tripe”) might have come from Albanian rrëndës (“rennet”). Replaced Romanian caș, which now refers to a specific type of cheese. 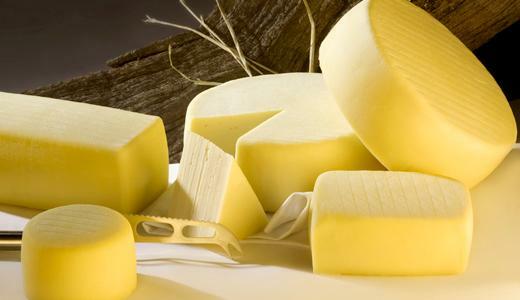 The singular form is usually used for white cheeses, while cașcaval is used for yellow cheeses. The plural form is used for both. Yes brânză reffers to the white cheeses, and cascaval are more the yellow cheeses. I think I am seeing two words for Cheese. I believe that brânză refers to a white cheese similar to feta and cașcaval is more like cheddar. I wonder if the English word "brine" (often used to make cheese) comes from this.